GoMakeADifference volunteers worked in collaboration with the Women’s Forum for Human Rights and Democracy to distribute learning materials to Ebola Virus Disease orphans in Sierra Leone’s Municipality of Makeni. Carried out in 2016, the project helped to reunite children with their extended families, prevent them from being stigmatized in their communities and connected them with local child protection agencies. In Sierra Leone, nearly 4000 deaths have resulted from the Ebola virus epidemic, leaving thousands of children across the country parentless. While the government has been making progress in addressing the needs of Ebola orphans, the GoMakeADifference team identified that there was still a need for more assistance in the Municipality of Makeni, one of the areas in which Ebola’s effects have been felt the most. 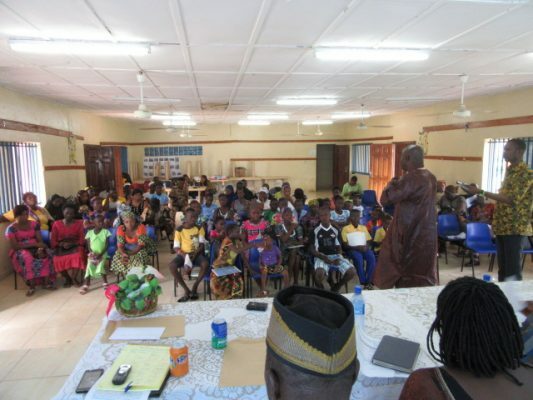 GoMakeADifference funding was used to implement the project, in which the volunteers provided learning materials to Ebola orphans in Makeni at a town hall meeting. By the end of the session, caretakers and foster parents realised the need to provide special care for the children, and the project helped to reunite the orphans with their extended family and prevent them from being stigmatised in their local community. 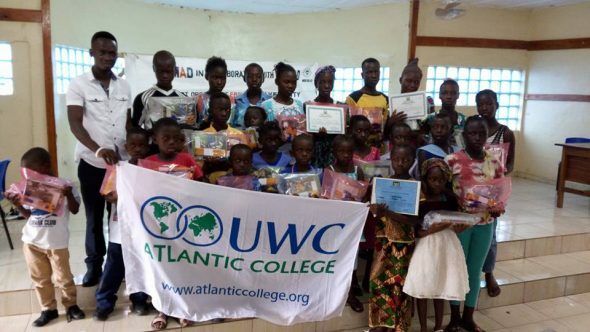 The project will have a lasting effect on the Makeni community, as it has inspired local organisations to provide ongoing support for Ebola orphans and ensure that the children have adequate school materials like bags, uniforms and books. In addition to the satisfaction of helping to rectify an urgent issue among an Ebola-stricken community, the GoMakeADifference team also learned a lot about the process of organising an international support project. They were taught a valuable lesson that the success of any project relies on its coordination, and they were able to achieve a great result thanks to being well-organised and commited to teamwork. With every passing moment of economic hardship in the country, GoMAD had acted promptly to the urgent needs of Ebola orphan caretakers. The project had immensely responded to the urgent call of the line ministry.